Stuart Howard aka Lapalux surfaces with a limited edition ambient cassette on Brainfeeder, drawing inspiration from the journey through life, death and the afterlife, split into three movements “ABOVE”, “BETWEEN” and “BELOW”. Lapalux takes his stunning live show (based around a unique modular rack) to the US/Canada in December 2018. He closes the Asian leg of the tour at Cakeshop in Seoul tonight after visiting Taipei, Jakarta, Bangkok and Singapore. Taken from ‘Ruinism’, out now via Brainfeeder. British producer Lapalux shares a brand new track – ‘4EVA (feat. Talvi)’ – via The FADER. Lifted from his forthcoming album “Ruinism” on Brainfeeder, the instrumental was born out of a jam session playing guitar, Korg Polysix and messing about looping a cassette, but it didn’t gel until Lapalux reached out to Talvi. “I’d been a fan of her band Prince Innocence for a while and loved her low slung, seemingly effortless style of singing,” says Lapalux. “As soon as I got the vocals from her it all fell into place and I rebuilt the whole song again to fit around them”. “Ruinism” is released via Brainfeeder digitally on 30th June 2017 with vinyl and CD formats following on 28th July, including a superlative and strictly limited edition deluxe vinyl 2LP with gloss and emboss detailing produced in collaboration with Parisian atelier Imprimerie du Marais. Lapalux will release his third album, “Ruinism”, on Flying Lotus’ Brainfeeder imprint on 30th June 2017. His previous long player, “Lustmore” was partially inspired by the concept of hypnagogia, a suspension of consciousness occurring between awake and sleep states. Throughout “Ruinism” the British producer takes this exploration further, journeying into the more ominous limbo between life and death. In this space where the finite and infinite intermingle, Lapalux sounds more at home than ever. “‘Ruinism’ is a made-up term I use to describe the way in which blended sound palettes and inspirations interact with one another to form this album,” he explains. Using 100% hardware and real instruments for the first time in his career, he recorded synths and drum hits and re-sampled, re-pitched, twisted and blended the sound “until it was ‘ruined’” and then salvaged it again in an attempt to make something coherent. Lead single ‘Rotted Arp (feat. Louisahhh)’ imbues this idea more aptly than any other track on the record according to Lapalux. “It sums up the whole idea of this record… having Louisahhh’s vocals made me think of this track as a much more meaningful piece and helped me push it further and further into a developed abstract dance track”. Elsewhere on the album, the ethereal ‘Falling Down (feat. JFDR)’ communicates a near angelic sense of hope and possibility despite the inaudible nature of granulated vocals performed by Icelandic singer Jófríður Ákadóttir (JFDR) of the bands Gangly, Pascal Pinon and Samaris. Similarly, ‘4EVA (feat. Talvi)’, winds through a cloudy haze reminiscent of the space between life and death and remains there like a slowly dying pendulum. There’s a warm elevation across the female-driven tracks that, as it unfolds, stand in stark contrast to the industrial and often discordant beginning of the record, most noticeable on cuts like the menacing ‘Data Demon’ and chilling opener ‘Reverence’, which was inspired by French Dada artist Frances Picabia’s 1915 painting of the same name. Recruiting Marielle Tepper as Creative Director on “Ruinism”, the physical formats include a superlative and strictly limited edition deluxe vinyl 2LP produced in collaboration with Parisian atelier Imprimerie du Marais. It’s available to pre-order now. Lapalux will play a trio of album showcases in London, Paris and Berlin at the end of May. Having previously collaborated with incredible results not once, but twice – on Lapalux’s “Without You‘” music video and Nick’s short film Chrysalis in 2013 – Lapalux and Nick Rutter have joined forces once again to create a music video for ‘Puzzle’ feat. Andreya Triana from Lapalux’s second album Lustmore (recently released via Brainfeeder). Starring James Eeles (Peaky Blinders, My Big Fat Diary) and a 1989 Porsche (model 944) it’s a tender and warped love story of a mechanic called Leon who is possessed by love, but no ordinary love… he has mechanophilia (the love or sexual attraction to machines, including cars). In an enclosed and surreal world where his dreams, hallucinations and visions feel wholly real, Leon tries to make sense of his spiralling emotions. And when the penny drops, can he make the right choice? 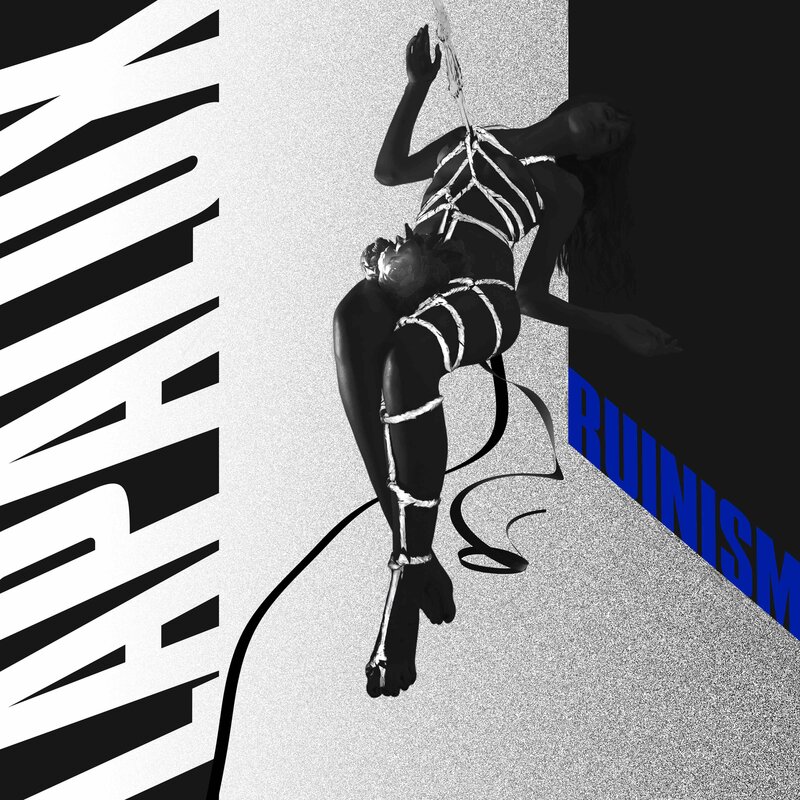 Lapalux – Lustmore – is out now on Brainfeeder. Lustmore Purchase Links: iTunes, Ninjashop. 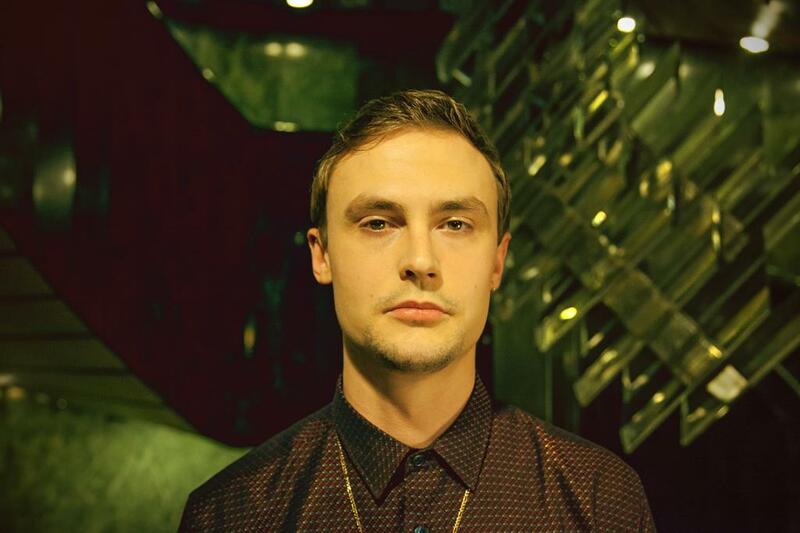 Stuart Howard aka Lapalux unveiled another tune from his sophomore album “Lustmore“. ‘Puzzle’ sees Brainfeeder’s UK representative bring in the soulful voice of British singer (and frequent Bonobo collaborator) Andreya Triana. “It’s a lovelessness,” Howard says, “searching for something more lustful and fleeting. It’s a very visual song for me. It’s about a sort of seedy, underground desire, like an old bar that used to have class, getting slowly seedier, to keep up with the demand for exploitation and filth. I think it sums up the whole feel and mood of the record,” Howard says. “That kind of sultry, seedy undertone and the pieces of the puzzle not fitting together properly, as if in a state of limbo where you don’t know where you are, but there’s something strangely comforting about it.” Those words could well be a credo for Lapalux’s wider musical vision. Pre-order Lustmore and get an instant download of Puzzle (ft. Andreya Triana), Closure (feat. Szjerdene) and Don’t Mean A Thing: smarturl.it/lustmoreit. Lapalux knew where and how his sound should change with a second album. As a result, Lustmore feels like a record as compulsively inspired and meticulously crafted as you’re likely to hear in 2015. Lustmore is loosely based on the idea of hypnogogia, a kind of limbo of consciousness between being awake and asleep. Listeners familiar with his 2011 debut, Nostalchic, will know that Stuart Howard’s woozy, infectious rhythms, enveloping textures and unfamiliarly familiar melodies conjure that territory perfectly. 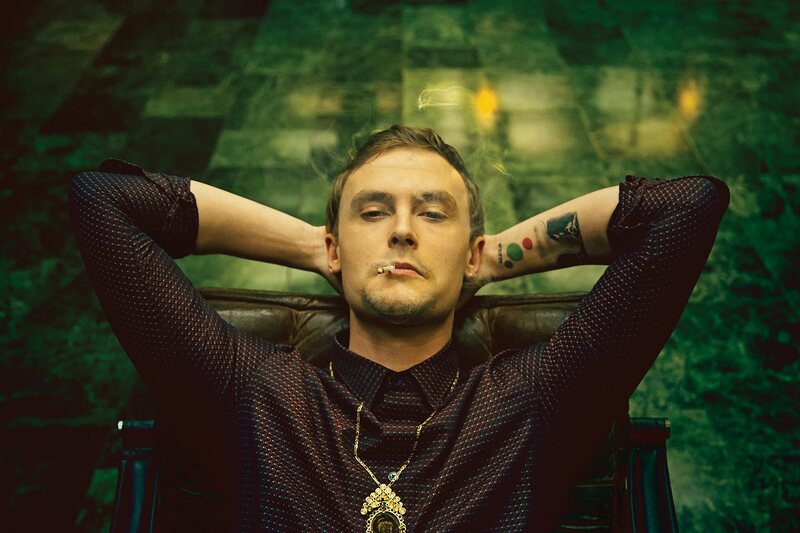 Lapalux attracted the direct attention of Brainfeeder label owner and electronic music icon Flying Lotus in 2010, and was quickly snapped up by the imprint. Acclaimed early EPs were followed by a number of remixes including Bonobo, Andreya Triana, Lianne La Havas amongst others, before his debut album Nostalchic arrived in 2011. 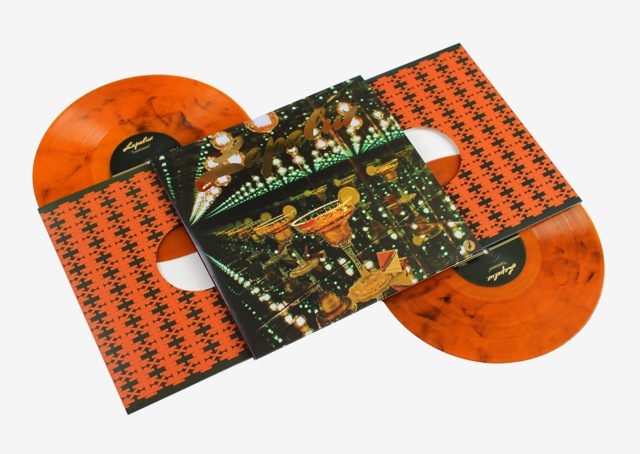 On its release Mojo asserted that: “Lapalux has joined the ranks of contemporary electronica’s finest, like FlyLo himself.” The album was a high watermark, and a statement of intent by a young producer who was pushing electronic music forward. Lustmore sees the young producer take another stride forward. Opener “U Never Know,” which features another masterful vocal turn by Andreya Triana, sets the tone for the album. “The line ‘I don’t think you’ll know’ describes the mysterious limbo-like state between waking life and sleep,” Howard says. The sleazy, yearning throb of “Puzzle (ft. Andreya Triana)” is unmistakably sexualized. “It’s a lovelessness,” Howard says, “searching for something more lustful and fleeting. It’s a very visual song for me. It’s about a sort of seedy, underground desire, like an old bar that used to have class, getting slowly seedier, to keep up with the demand for exploitation and filth. I think it sums up the whole feel and mood of the record,” Howard says. “That kind of sultry, seedy undertone and the pieces of the puzzle not fitting together properly, as if in a state of limbo where you don’t know where you are, but there’s something strangely comforting about it.” Those words could well be a credo for Lapalux’s wider musical vision. Studying old film soundtracks was a hugely important process for the making of the album. “I really focused on making this album an imaginary visual experience. You can almost see these imaginary movies play in your head when you listen,” he says. “That’s something that I really started to work into my music – the idea of creating imagery and characters, storyline, and emotion.” It’s a process that has certainly worked: Lustmore is imbued with an emotional narrative that never loosens its grip on the ear. UK beatmaker Stuart Howard aka Lapalux returns with his new single “Closure” featuring the beautiful vocals from Szjerdene. The single is the first taste from his upcoming second album “Lustmore” for Flying Lotus’ Brainfeeder imprint. Lapalux’s “Lustmore” is out on April 7th 2015. Pre-order it here. Known for her stunning vocals and captivating live performances, Andreya Triana is back with the release of new EP ‘Everything You Never Had Pt. II’, out this week on Counter. Brainfeeder producer Lapalux is the latest artist to work with Triana, remixing her new track “The Best is Yet to Come.” Check it out below. Triana’s highly anticipated album is due out in 2015.